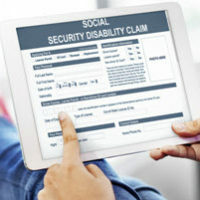 It is possible to be automatically approved for Social Security Disability Insurance (SSDI) benefits if you suffer from a condition that the Social Security Administration (SSA) recognizes as being disabling. These ailments are identified as the Listing of Impairments, otherwise known as the “Blue Book.” An SSDI attorney can provide specific details based upon your circumstances, as the descriptions can be very subjective. Still, you can read on to learn more about how the process works and different ways you can use it to your advantage. The Blue Book is the first source that SSA disability claims examiner will refer to when reviewing your application for benefits. It lays out the requirements for a particular impairment to be automatically accepted, so you do not have to face a longer, more detailed determination process to obtain benefits. The Listing of Impairments includes descriptions on the severity of the medical condition, findings from your doctor, and laboratory tests. If you can match a listing, your application is approved and you can start receiving monetary benefits right away. Your condition is specifically noted in the Listing of Impairments. This straightforward approach requires working closely with your doctor to address a diagnosis and treatments. Your medical condition matches a description in the Blue Book. The Listing of Impairments includes specific criteria regarding your injury or illness. Even if the exact label is not included, you can still automatically qualify for SSDI benefits by meeting these requirements. Your doctor may need to perform additional clinical or lab tests, and then report on the results to align with the criteria. You may show how your medical condition is equal to one in the Blue Book. With this approach, an SSA claims examiner refers to the Listing of Impairments and checks to see whether your injury or illness is the equivalent. The human body is a complex machine, so it would be impossible to include every possible ailment on the Listing of Impairments. If your medical condition does not meet or equal a listing in the Blue Book, your application may not be automatically approved. However, you still have options to obtain SSDI benefits. Your strategy will be showing how your injury or illness affects your ability to work, and the various ways you are limited in performing work-related tasks. Your chances of being automatically approved for SSDI benefits greatly improve when you retain a knowledgeable SSDI attorney to assist with your application. A lawyer can work with you and your doctor to ensure that your medical condition matches or is the equivalent of one listed in the Blue Book. If you cannot achieve a match, your attorney can help demonstrate your limitations to an SSA claims examiner. Please contact the Law Offices of Steinhardt, Siskind and Lieberman, LLC for more information on the SSA’s Listing of Impairments. We are happy to set up a no-cost consultation at our Maryland offices in Glen Burnie, Owings Mills, Ellicott City, or Annapolis.